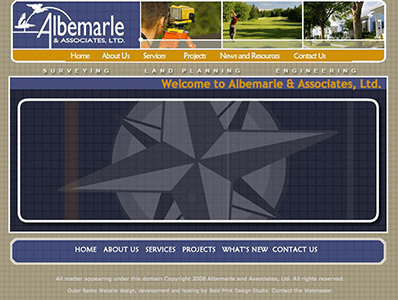 The home page features a flash animation wherein the birds fly across the screen and land within the logo. 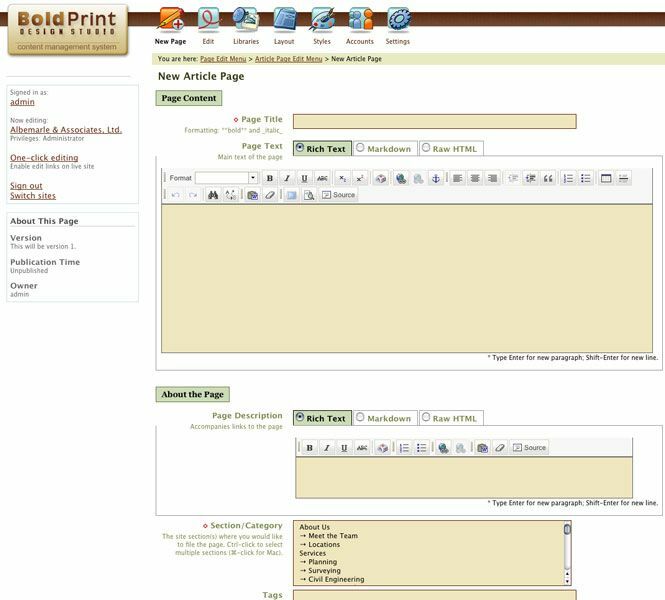 Modifying the pages of the website is easy with our content management system. 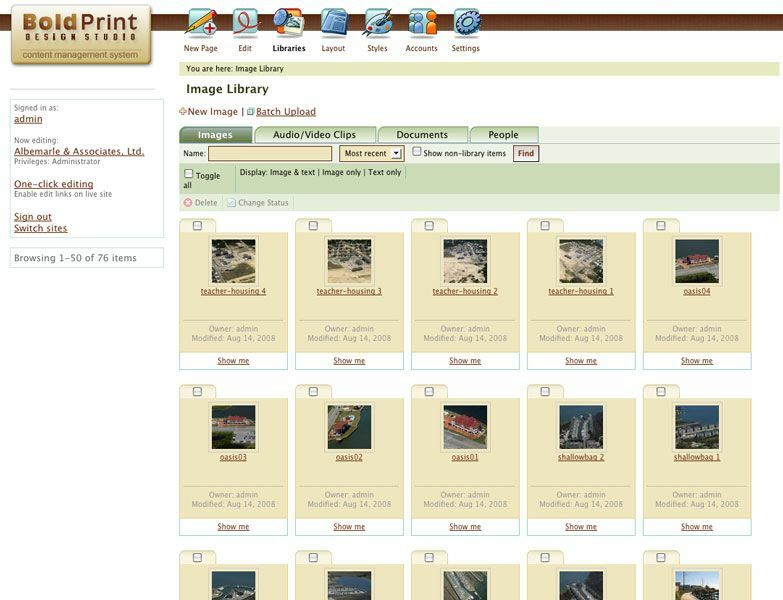 Your images are stored in libraries for future use elsewhere in your site. 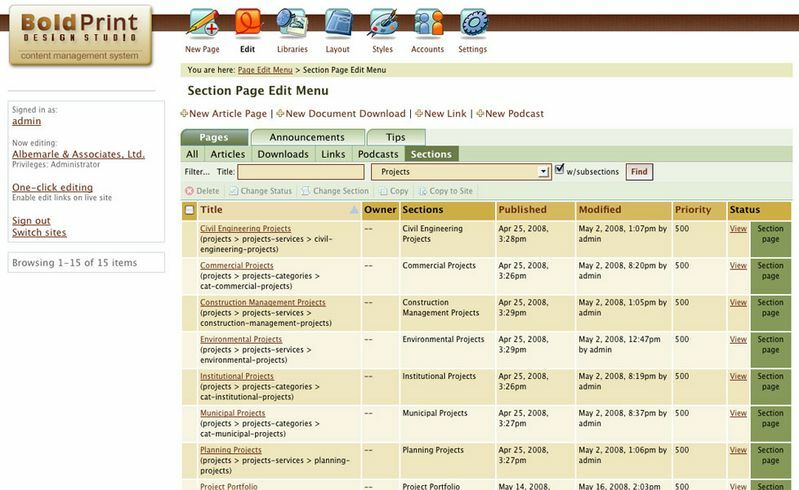 Using the CMS it is easy to add, delete or edit any profile as needed. 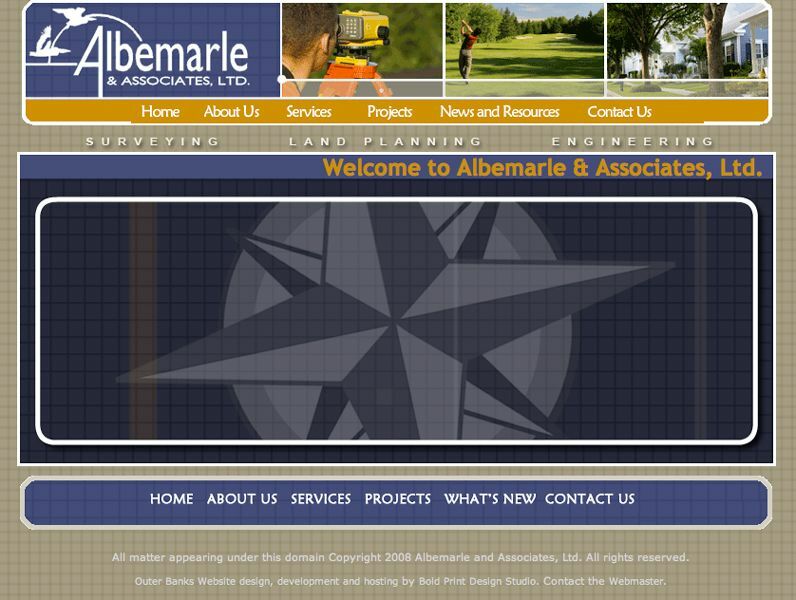 Website design for Albemarle & Associates, Ltd. Includes animated flash intro, flash navigation, and our easy to use Content Management System. This allows for the company to post their own news and events, as well as adding projects to their ever-growing construction portfolio. 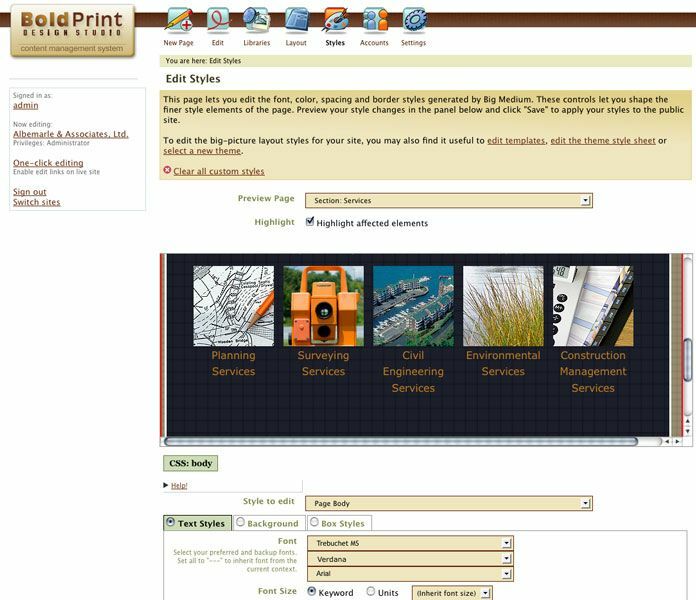 Additionally, all pages have a built in “email to a colleague” function and a printer friendly version. 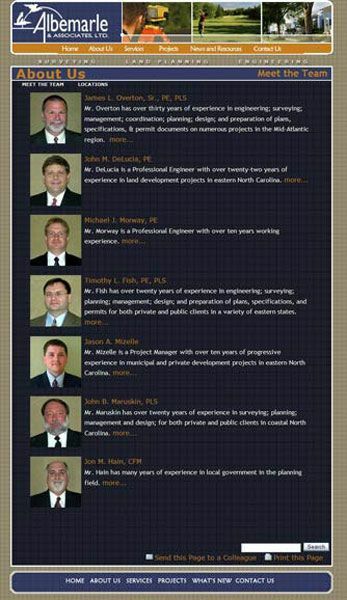 The site also features a staff directory and an online employment application form which emails Albemarle & Associates staff and copies the information into an online database each time the form is filled in. 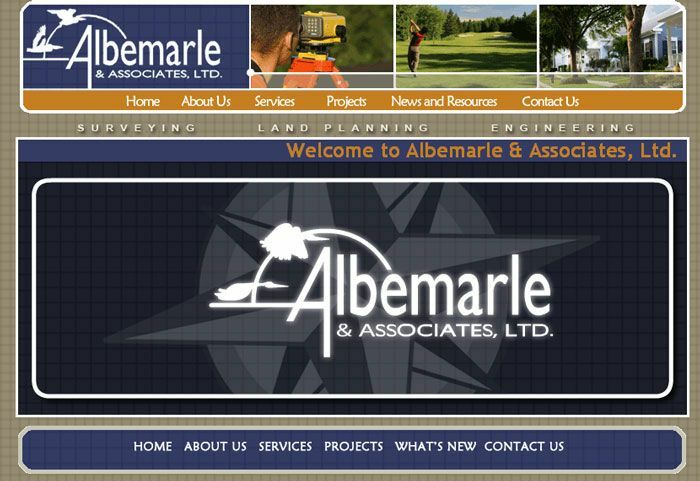 Albemarle & Associates’ marketing efforts also include an e-newsletter and their website features a newsletter sign-up form and an archive of past newsletters.